Welcome to Ezzyland, a world full of all things woolly, fluffy and colourful. Eleanor Flynn, our super passionate Fibre Artist will guide you through the world of Fibre, Spinning and the British Wool Trade. 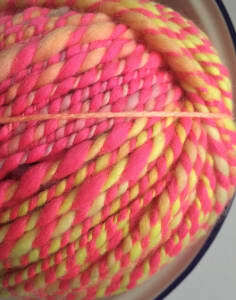 Eleanor aka 'Ezzy' takes the tradition Craft of Spinning yarn and adds a contemporary, colourful twist. After studying Fine Art at Goldsmith's, Ezzy brings to her classes a 'Can do' attitude and believes highly in the positive effects of 'having a go' at new crafts, rather than the aim for perfection. 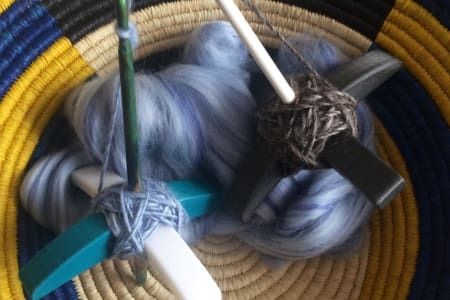 She strongly believes in using craft to relieve stress and anxiety, and spinning has a mesmerising effect. Eleanor is passionate about bringing life back into what is a dying craft and bringing contemporary spinning to a wider audience.